The Cube by Höfats is a lot more than just a fire basket. Since it's probably the world's safest fire basket, extinguishing on command. 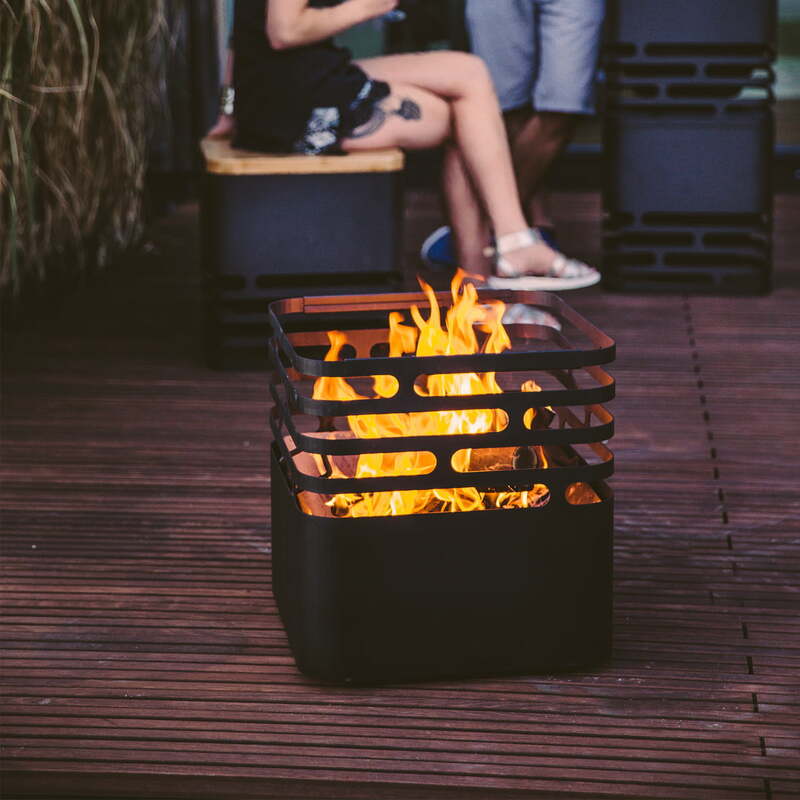 The square body of the fire basket is made of powder-coated steel and the fire bowl is made of stainless steel. 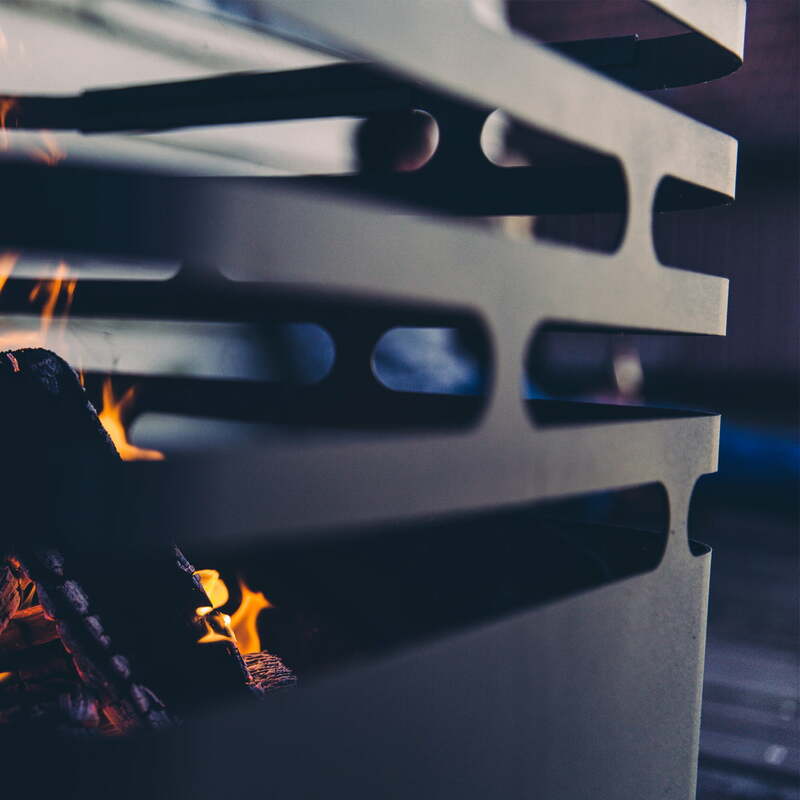 The minimalist and discreet design of the fire basket makes a great connection with the fire. If you want the fire to die, simply turn the cube upside down and the fire extinguished on its own. Due to gravity the fire bowl is always perpendicular, thus making the process absolutely safe. As long as there is no fire blazing in cube, it can be used as stool, bench or side table. A matching grill grate is optionally available, which is of course height-adjustable. 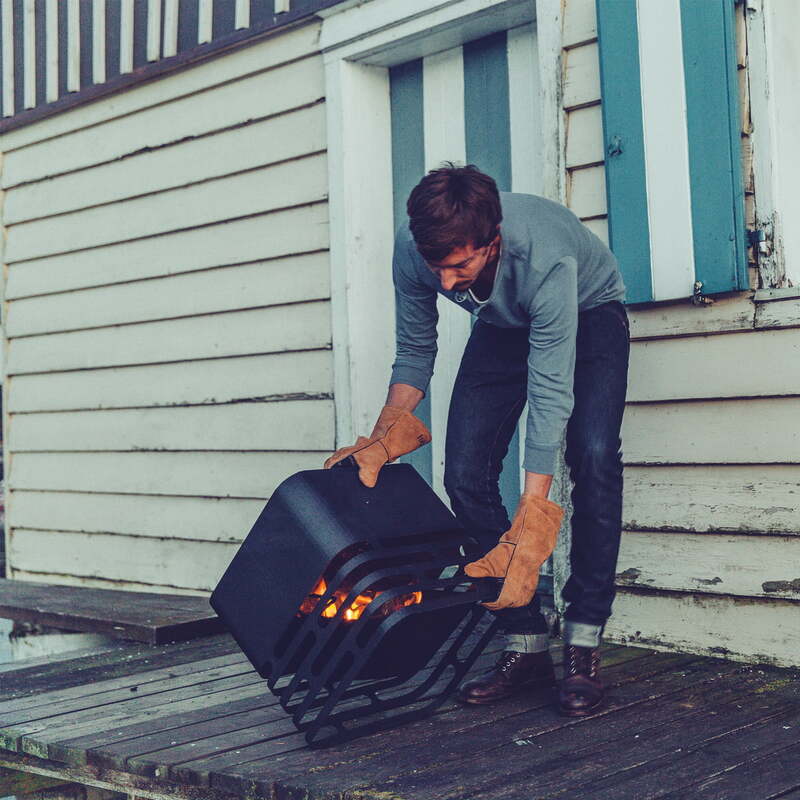 Individual product image of the Cube fire basket by Höfats. The square body of the fire basket is made of powder-coated steel and the bowl is made of stainless steel. Individual product image of the Cube wooden panel with fire basket by Höfats. The panel is made of bamboo and transforms the fire basket into a stool or small side table. Individual product image of the Cube barbecue grate with fire basket by Höfats. The grill plate is made of 6mm-thick stainless steel, optionally making the fire basket a barbecue. 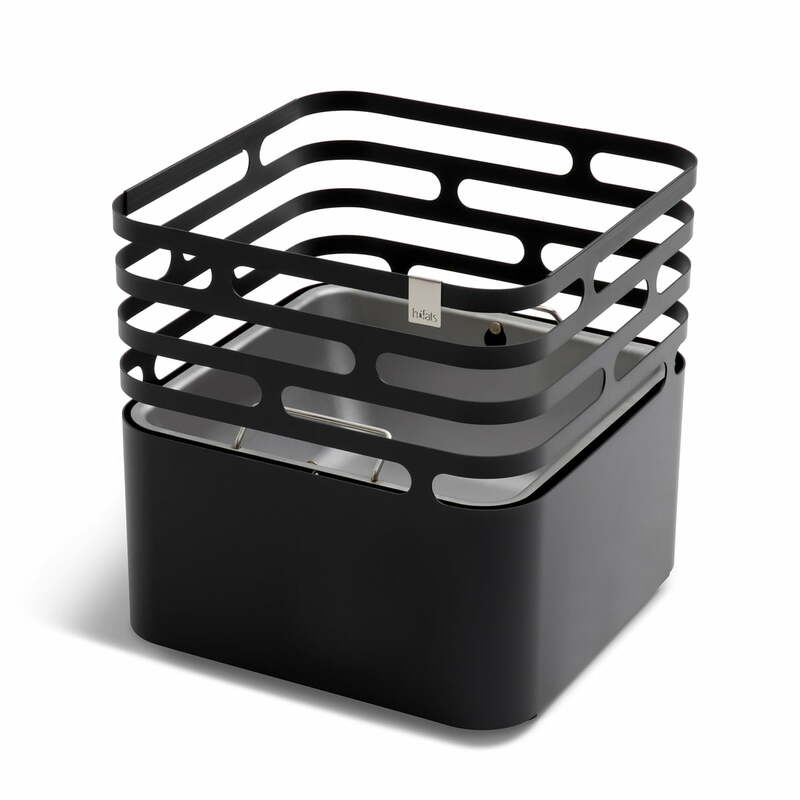 The square body of the fire basket is made of powder-coated steel and the bowl is made of stainless steel. 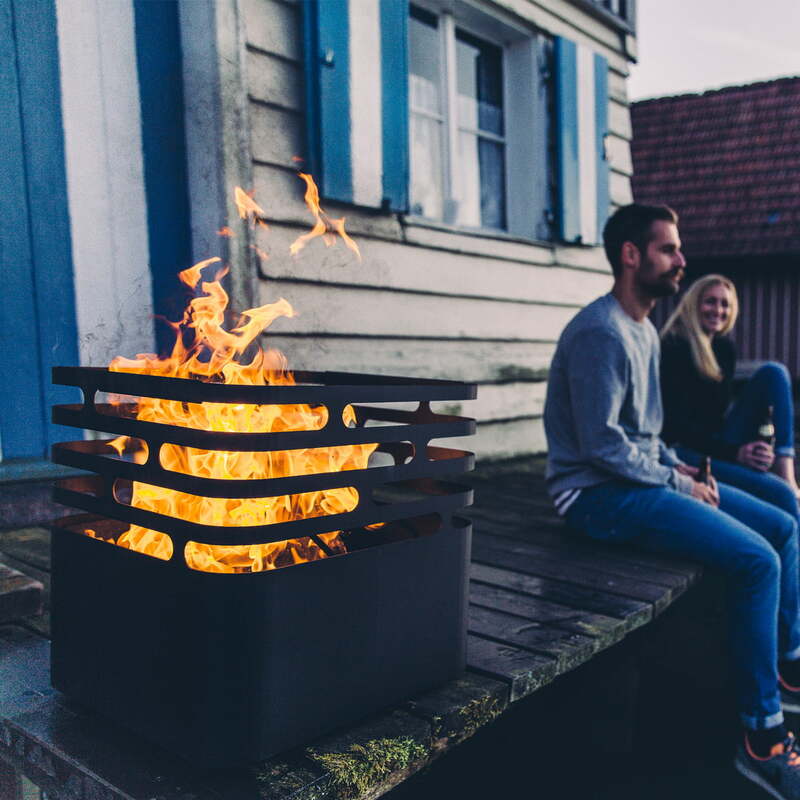 The fire basket’s minimalist and discreet design makes a great combination with the fire. 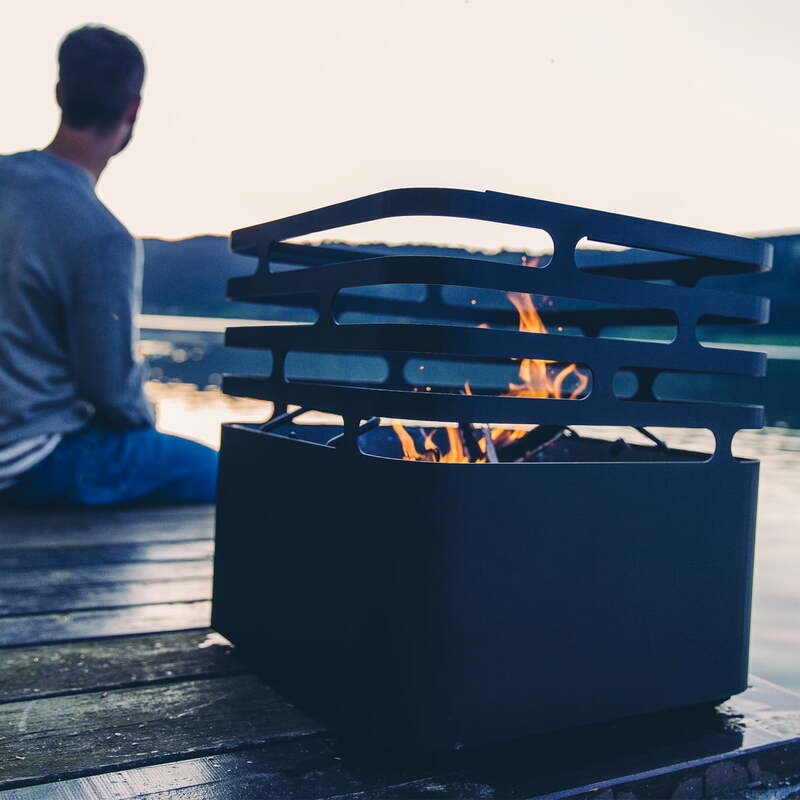 The holes in the Cube fire basket by Höfats allow the fire’s light and warmth to radiate through optimally and cleverly interplay with the flames of the burning fire. If you want the fire to die, simply turn the cube upside down and the fire will b extinguished. 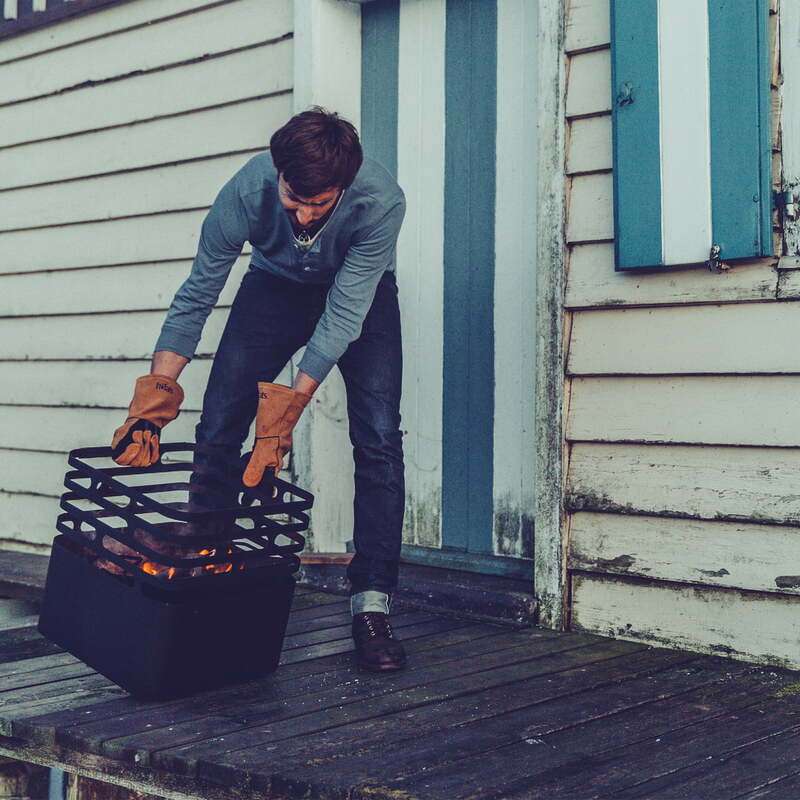 Fireproof gloves like the Höfats Grill gloves are an absolute must to prevent burns. 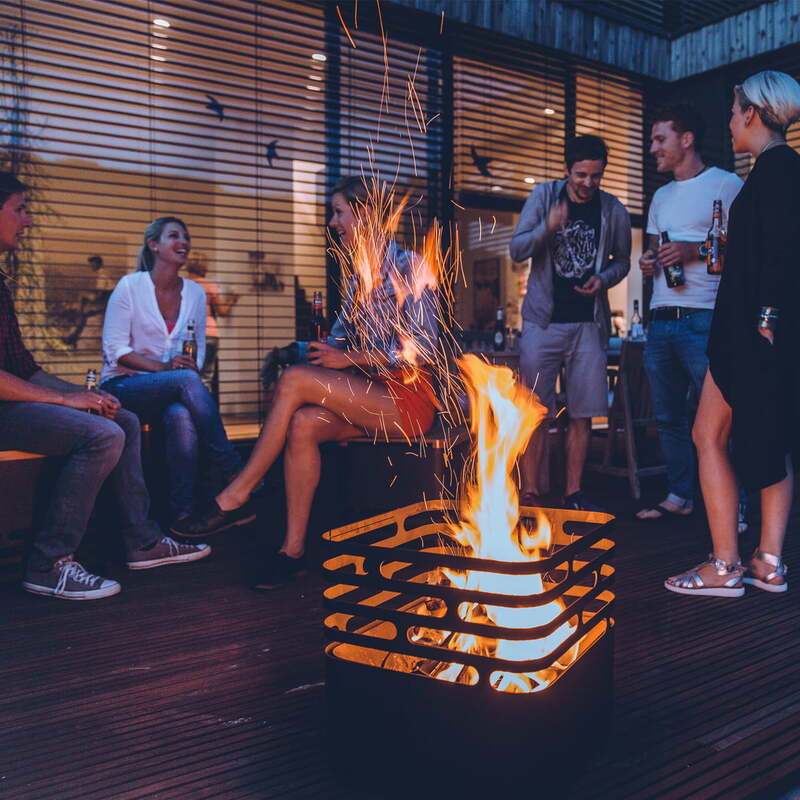 The Cube fire bowl by Höfats is made of powder-coated steel and stainless steel, and stays in place when turned thanks to gravity, making its operation completely safe. If you want to put out the fire, simply turn Cube over and the fire will extinguish itself. The fire basket remains upright thanks to gravity, thus making operation completely safe. 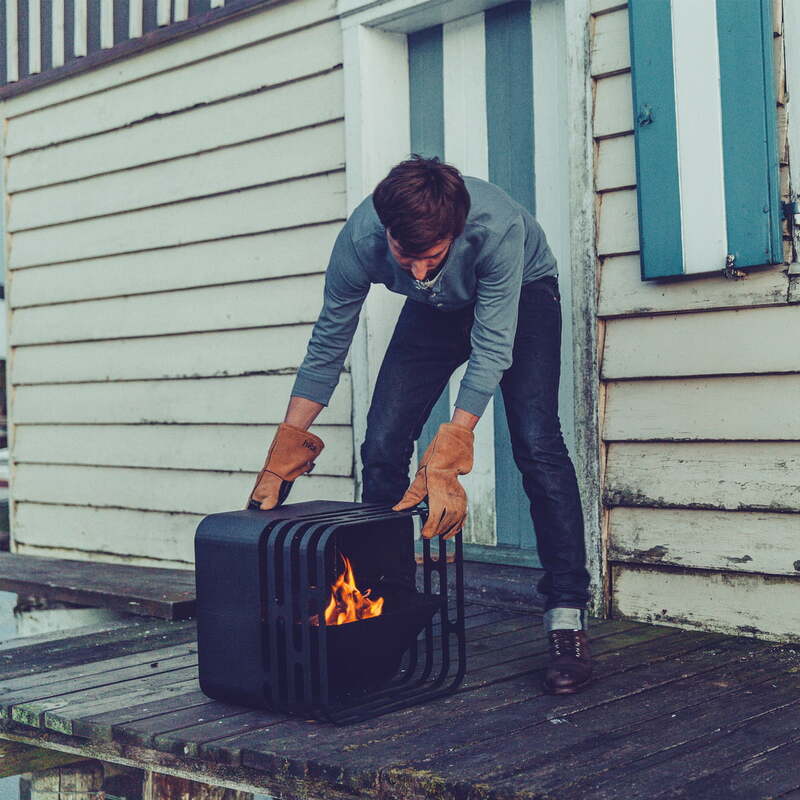 Once the Cube fire basket by Höfats has been turned over, it doesn’t take long for the fire to extinguish. You should make sure that the fire has completely died before leaving the fireplace, for safety reasons. The Cube by Höfats is a lot more than just a fire basket. 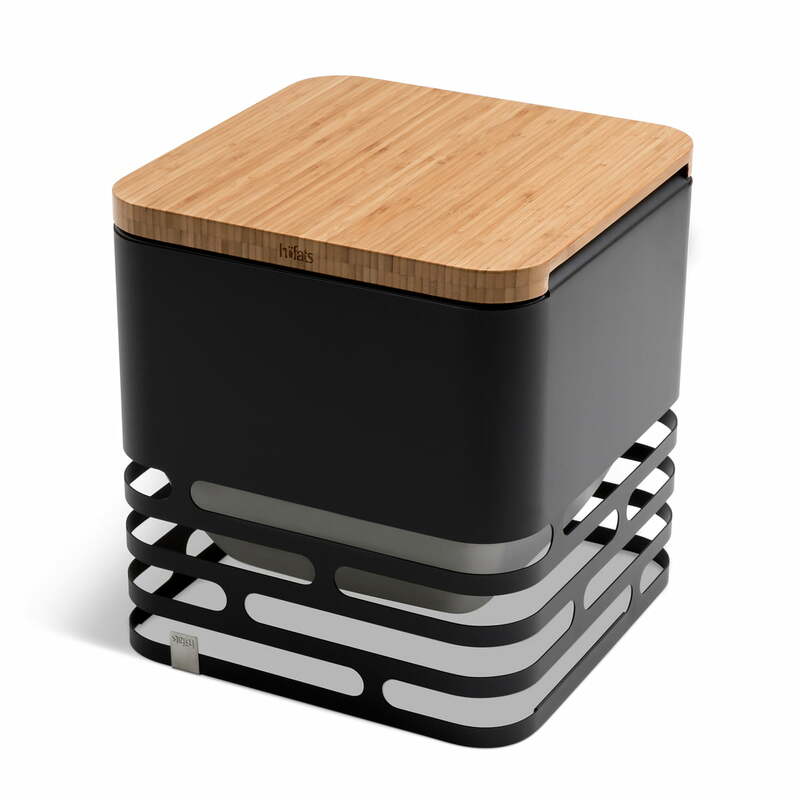 If there’s no fire blazing in the Cube, you can use it as a stool, bench or side table or, optionally, barbecue. 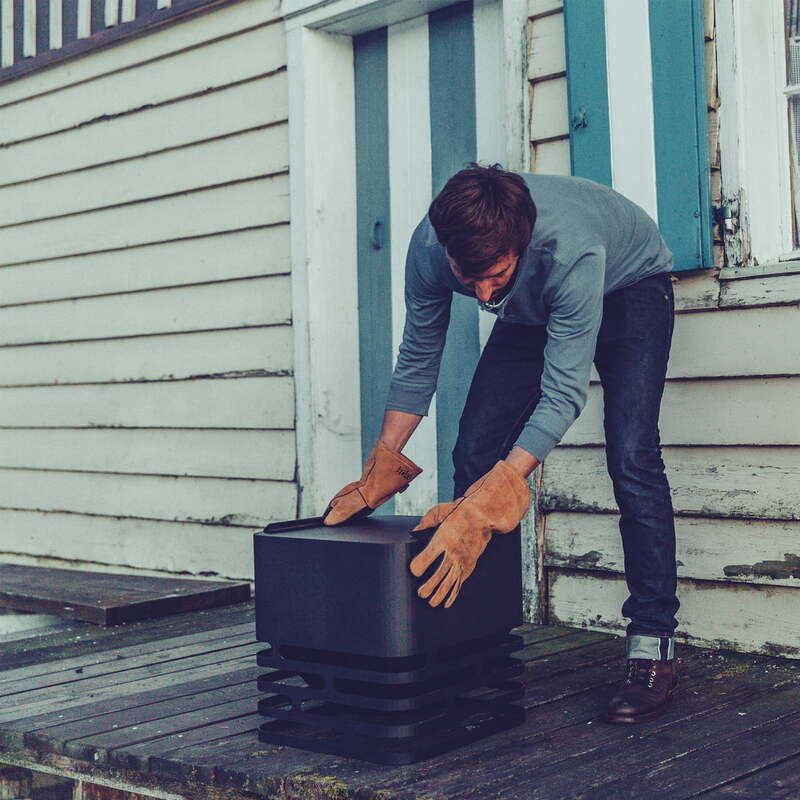 The powder-coated steel Cube by Höfats is much more than just a fire basket. It’s likely the safest fire basket in the world, extinguishing at your command. If you want to put out the fire, simply turn Cube over and the fire will extinguish itself.